What’s the most important thing you can do in customer care to win the hearts of consumers? They’re not looking for a delightful experience. More than anything else, consumers want you to respect their time. Life is full of struggles, and interacting with your organization shouldn’t be one of them. Today’s multi-tasking, time-crunched, on-the-go consumers have enough things competing for their attention. Your ultimate goal should be effortless customer care, and there’s no better way to show respect for your customer’s time. That’s why the Contact Solutions cloud is full of innovations that reduce effort during customer care. 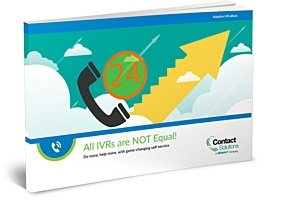 For example, our cloud-based IVR uses our unique Adaptive IVR personalization technology to reduce struggle and friction during calls. It senses when individual callers are struggling with voice prompts and slows them down to make it easier for struggling callers to follow. When it senses “expert” behavior from callers who want to go faster, it automatically speeds up the call flow to reduce friction. The result: less effort, less frustration, and a better experience with self-service. Have you ever been interrupted during a customer service call? It’s frustrating when you have to hang up, then later put in extra effort to call back and start the transaction all over again. Our My:Time Intelligent Messaging solution reduces effort by putting customers in control. It’s easy to start an interaction, stop for any reason, then resume minutes or days later- picking up right where you left off with a full history of the interaction visible to both the customer and the contact center agent. Less effort, fewer escalations, more satisfied customers, and fewer stressed-out agents. You’re a savvy executive, so you know this scenario all too well. Budgets are tight. Resources are already stretched too thin. And you’re constantly under pressure to do more with less. Every operations leader feels this frustration. But in this hypercompetitive world, the demands of customer service are often growing faster than revenue and operating budgets. And that’s not sustainable. It puts customer loyalty at risk, and it eats away at long-term profitability. Eventually everybody loses. 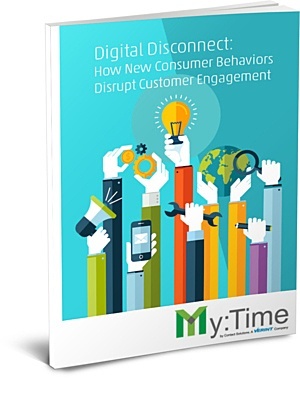 Continually measure, analyze, and improve customer experience. We keep reducing customer effort to drive increased engagement and keep pace with ever more challenging customer expectations. Continually measure, analyze, and improve self-service utilization. This keeps lowering your overall operating costs so you can keep pace with competitive pressures. And our results are Guaranteed. Achieve zero downtime operating excellence and plenty of capacity to handle unexpected volume spikes. This lowers costs and improves customer experience by avoiding the ultimate in CX detractors: busy signals and downtime. For many brands, customer experience is the single best predictor of business success. In today's fiercely competitive economy, customers have more choices than ever. Which means they can defect at the drop of a hat, if your service doesn't measure up. At Contact Solutions, we help you find opportunities to keep customers engaged, which boosts loyalty, and drives sales and revenue that loyal customers add to your business over time. At Contact Solutions, we believe customer care should be effortless for the customer and sustainable for the enterprise. Our cloud-based, voice and mobile customer care solutions reduce effort through highly personalized self-service and agent-assisted experiences, provided at the convenience of the customer. We use business intelligence to continually improve and optimize customer care so enterprises can achieve superior results at sustainable cost, while adapting quickly to rapidly changing customer demands.